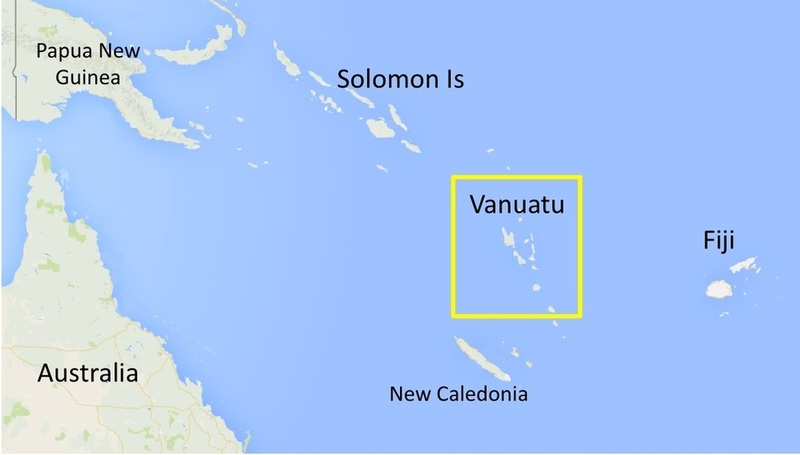 Protecting 166 ha of tropical rainforest on eastern Espiritu Santo, Vanuatu. Habitat for the critically endangered Vanuatu Megapode bird (Megapodu freycinet layardi), and the critically endangered Coconut Crab (Birgus latro). It is also home to several endemic birds including the Vanuatu Kingfisher (Halycon farquhari), the Vanuatu Flycatcher (Neolalage banksiana), the Vanuatu Fruit Dove (Ptilinopus tannensis), the Vanuatu White-eye (Sosterops flavifrons), the Santo Mountain Starling (Aplonis santovestris), the Vanuatu Imperial Pigeon (Ducula bakeri), and the Golden Whistler (Pachycephala pectoralis). This rainforest also provides valuable protection from cyclones, floods and droughts for the Loru local people. The Loru Forest Project combines protection of coastal rainforest and agroforestry - particularly nut production from the Melanesian Chestnut (Canarium indium). This project generates 2,442 carbon offsets annually, certified to the Plan Vivo carbon standard. 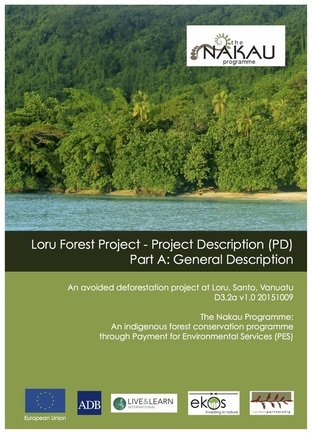 This project is owned by the Serkar Clan of indigenous ni-Vanuatu landowners at Loru, Espiritu Santo, Vanuatu. The clan consists of five extended families of some 50 individuals descended from Chief Serkar (1913-1997). These landowners have given up rights to land clearance for coconut plantations in exchange for the opportunity to sell rainforest carbon offsets as a way of generating revenue for local economic development. This project also provides governance and management support and capacity building for community enterprise at Loru. This is to help the Loru landowners manage the rainforest conservation project and develop spin-off community businesses - the first of which is a community business producing and selling agroforestry produce (e.g. Canarium nuts) from adjacent lands that they own and manage. The Loru coastal rainforest is protected as a Community Conservation Area under the Environment Protection and Biodiversity Act (2010). This project generates 2,442 carbon offsets annually, with the first issuance expected in the second quarter of 2016. This project underwent project development between 2012 and 2015 with funding from the European Union. This involved a lengthy process of landowner consultation and participation, methodology design and validation, and project design, development, implementation and monitoring. International validation and first verification was completed in Q1 2016. The project and its carbon offsets are certified to the Plan Vivo Standard - the world's leading community-based, fair-trade styled rainforest carbon standard. Scroll down to access technical documents. All projects in the Nakau Programme are required to apply a Technical Specifications Module covering measurement, reporting and verification (MRV) of carbon benefit impacts delivered by a project. The TS Module applied in the Loru Project is a carbon accounting methodology applicable to projects that avoid deforestation: Avoided Deforestation - Deforestation to Protected Forest (AD-DtPF). This Technical Specifications Module was validated to the Plan Vivo Standard in 2016. Project development involves applying the methodology elements (on left) to the project site in the generation of a Project Description (PD). A PD is a detailed proposal quantifying the benefits to be produced by the project once implemented. The PD is split into two parts. Part A General Description involves the application of the Nakau Methodology Framework to the project site. This document (above) is the PD (Part A) for the Loru Project. Part B of the PD involves the application of the Technical Specifications Module to the project site (see below). The Loru PD Part A was validated to the Plan Vivo Standard in 2016. This document is the Project Description (Part B) for the Loru Project. This involves the application of the Technical Specifications Module to the project site - quantifying the climate benefits to be delivered by the project once implemented. The Loru PD (Part B) was validated to the Plan Vivo Standard in 2016. All Ekos projects are required to monitor (quantify) project benefits during project implementation according to a Project Monitoring Plan contained in the PD. Project Monitoring Reports contain assertions of the quantified ecosystem services benefits delivered by the project during the relevant (usually 3-yearly) monitoring period. This quantitative assertion is the basis for issuing PES units (e.g. carbon offsets) to the project. The 1st Loru Project Monitoring Report (2013-2014 monitoring period) was verified to the Plan Vivo Standard in 2016. Before a project can be implemented, it first needs to be validated in an audit to ensure that it complies with the international standard applied (Plan Vivo in this case). The auditor produces a validation report asserting compliance to the standard including a paper trail for how corrective actions were addressed during the audit process. The Loru PD (Parts A and B) were validated in 2016.